A lot of our products can be directly processed. That increases the longevity and the quality of the products. 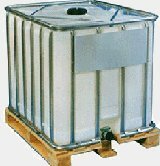 For industry, we can fill 200 litre barrels and 1000 litre IBC containers. We offer a lot of ideas to increase the value and the advantage of business competition of the produced materials, especially for textile, synthetic material and building material industries. We gladly give advice to you to increase the value of your product. In processing and service businesses it is necessary to differ from the competitors. You are always one step ahead, whether you are a textile discounter who wants to have new products in your range or a building business that not only builds the house, but also seals it afterwards. Leave the competition behind. You can choose between all available sizes of bottles and containers. We gladly give advice to you how to differ from your competitors. Cities, towns, councils and counties often need a lot of money for cleaning purposes. With our special nano cleaning and sealing products, costs can be decreased by about 90%. Expensive and environmentally unfriendly cleaning agents are no longer necessary. A long lasting seal is of advantage, as the treated surfaces only need to be cleaned with water and a wet cloth. We gladly give advice to help you save money in your specialist area.